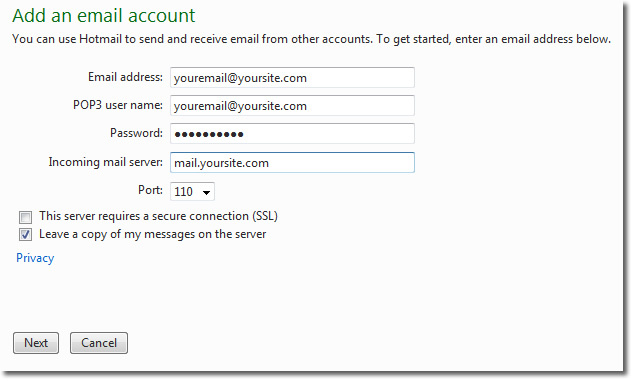 This is a step-by-step guide to adding your sgis hosted email account to an existing Hotmail account. This is a good idea as it saves having to check multiple places for emails. 5. Taylor the final options and chose where you want your mail to appear. Click save. 7. 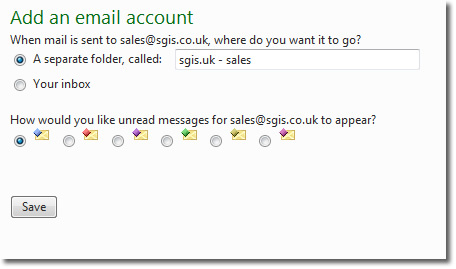 An authorisation email will be sent from Hotmail to your sgis hosted email account and this must be authorised by logging in to webmail before the account is fully moved accross. You will also not be able to send emails until this has been done.